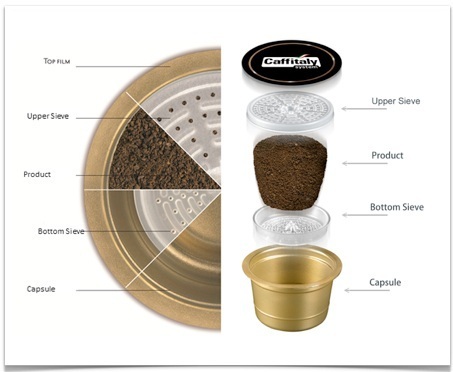 Caffitaly Armonioso capsules, compatible with Caffitaly capsule machines. For a balanced espresso with 30% Robusta and 70% Arabica. 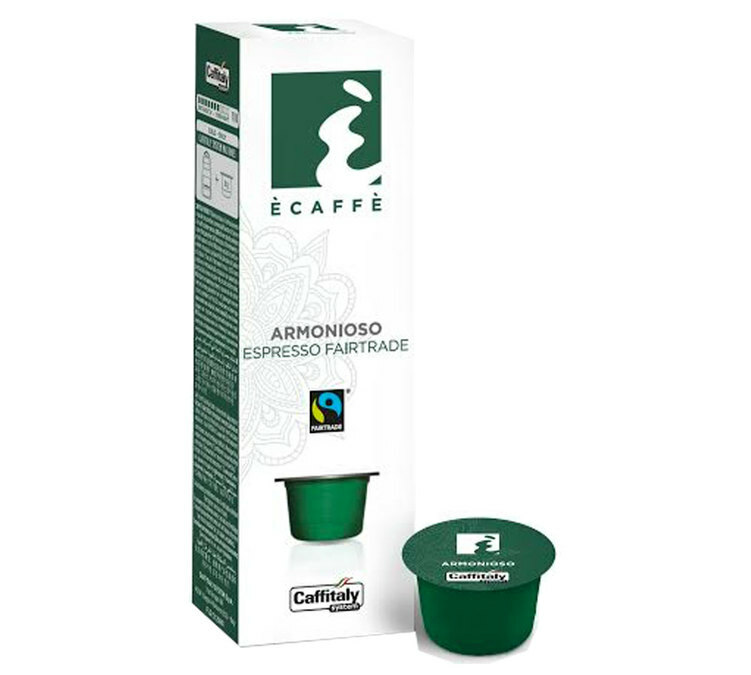 Fairtrade coffee. 1 box of 10 capsules.